3D Printing is gaining popularity in the promotional product industry. 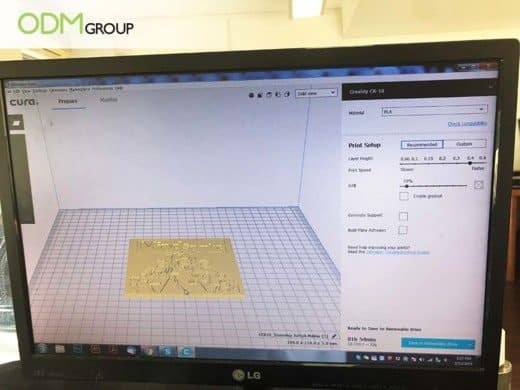 This technology allows companies to create prototypes of objects and personalized promotional products or modify their designs at a fast and cost-efficient manner. You can have 3D printed promotional products in a matter of hours, allowing you to maximize your time and marketing budget. You can quickly visualize what your product will look like without having to go through a supplier for a sample or to create a mould. This way, you are able to determine the color, shape, size, and details you want for your product before contacting a factory in China. To learn more about how our designers create very detailed 3D printed promotional products, here’s a simple step-by-step 3D printing process. Create your 3D model using a professional 3D modelling software like SketchUp or Tinkercad which can be accessed online. 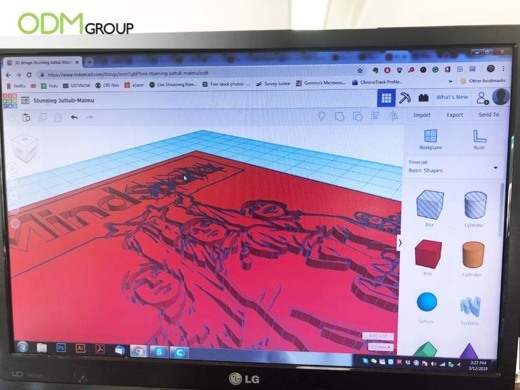 Download your 3D model on websites like YouMagine or Cults, a platform where creators share their works with other fellow artists. There are a lot of free and paid 3D models on the web. Once you’ve created your 3D model, it will be saved as an STL file. You will need to upload it in your printing software, Cura & Repetier – these are free to download online. You can then change the printing setting. Take note that the complexity of the design and printing settings may affect the printing time and the quality of the object. 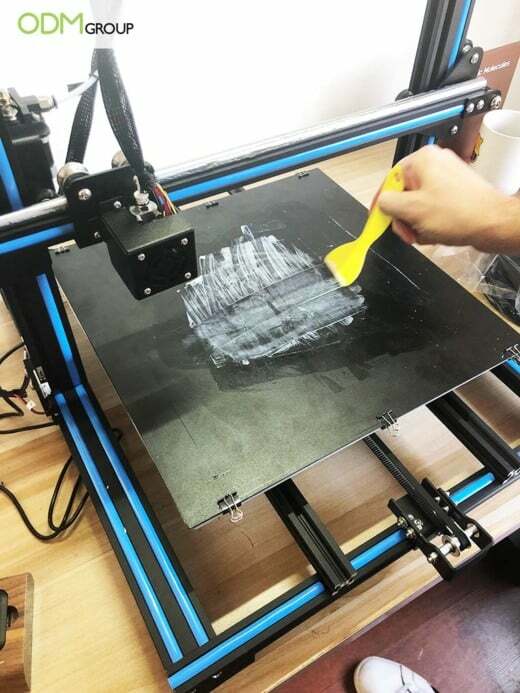 To calibrate the 3D printer, you need to take a piece of paper and make sure that it fits between the head of the printer and the printing tray. It is about a millimeter. If the paper does not fit or if it is too wide, adjust the screws under the printing tray. Do not forget to put some glue on the printing tray to make sure that the object you are printing will not move during the process. Using a stick or spatula, spread the glue evenly. 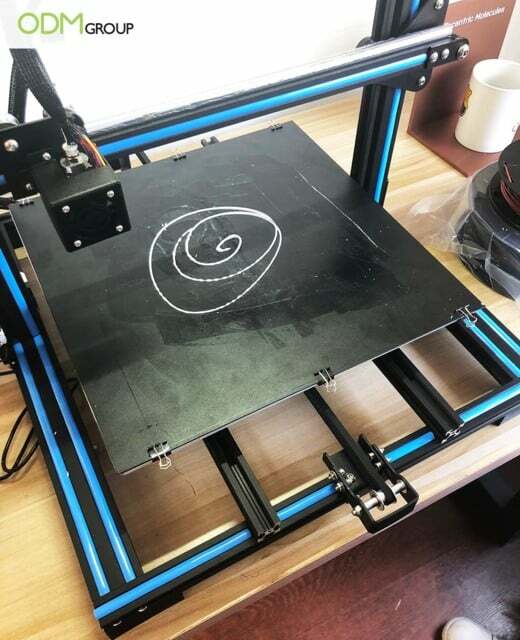 You can now turn on and heat the 3D printer. 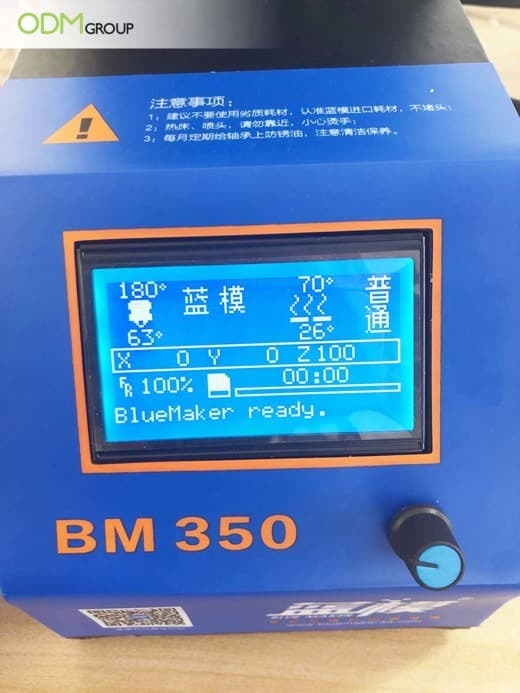 For ABS plastic filament, wait for the printer to reach 185-205C° before printing. Otherwise, you may face some difficulties during the printing process. 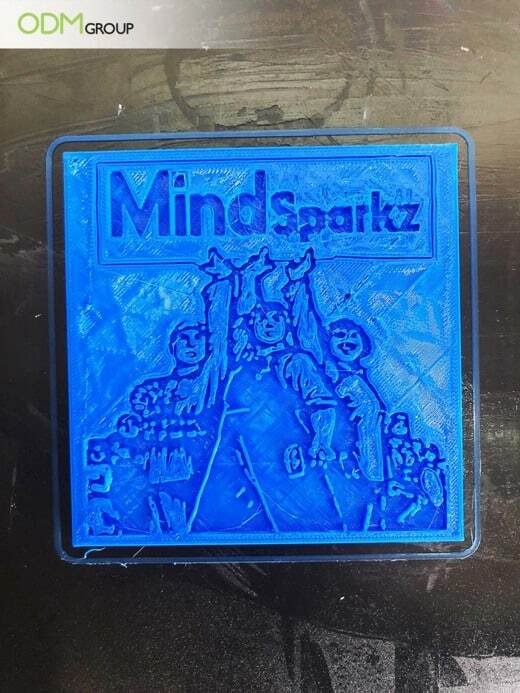 After 2 hours of 3D printing, this is what our object looks like- MindSparkz logo! Be careful when handling your 3D printed promotional products so as to avoid chipping or breaking. Visualize the overall appearance of the product, thereby allowing designers to evaluate the proportions, functionality, size, and fit. 3D printed promotional products can be used during presentations and brainstorming. Here, at ODM, our design team is updated on the latest printing and manufacturing technologies so you can expect us to deliver high quality custom branded merchandise for your business. Whether you need 3D printed promotional products, POS display units, and custom packaging designs, our product designers can help you out. Which sort of Plastic is best for my product? Sublimation printing is the most preferred printing technique for textiles and products with complex designs. This is because it can create vivid colorful prints and finer details, which is difficult to achieve in silk-screen printing. Can you remove silk-screen printed designs? If so, how? How to Remove Silk Screen Printing? Learn more about heat transfer printing and why you should consider this tchnique for your next production.